Hard cover collectible with dust jacket, eBook from Blurb for most formats and also from iTunes for IOS and as a soft cover booklet. 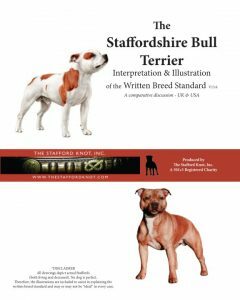 All profit (after publishers cut) is donated to The Stafford Knot, Inc. SBT Rescue Fund which assists Stafford rescues worldwide. TSK, Inc. is a 501c3. Beautifully illustrated by Maurizio Molinari, these books will be highly collectible – Purchase directly from the publisher – worldwide shipping available. Most kennel clubs around the world follow the official (UK) Kennel Club breed standard or they have simply adopted the Kennel Club standard verbatim, and they call it their own. The original AKC (US) breed standard was a direct adoption of the UK standard at that time, but it was later significantly changed. The current AKC version differs in the order in which the “components” are discussed and also in a few passages that are unique to the AKC version. 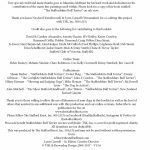 This presentation will follow the sequence of the Kennel Club breed standard and will make mention of the differences in language and descriptions of “ideal” noting extensions, omissions, and discrepancies where then they occur within the AKC standard. The Stafford Knot, Inc is a non profit organization made up of volunteers from around the world. 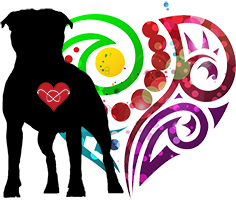 The Stafford Knot, Inc. promotes health testing in the breed, provides educational materials including a free online magazine and benefits Stafford rescue worldwide. While we may not all agree on everything written inside of this book, we can all agree that the more information provided about pure breed dogs the better. This book is a conglomeration of materials which are credited on the last page of the book. Thank you to all volunteers, writers, photographers and contributors. PLEASE do not steal our images and work. We are happy to share but ask that you contact us for permission so that we know where it is being used. Credit must be given to TSK when using our work for copyright purposes. A small donation for its use is greatly appreciated as all proceeds go to help Stafford rescues worldwide. 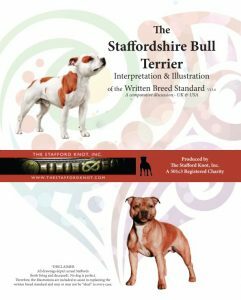 The Stafford Knot, Inc. is an independent publication and not affiliated with any specific breed club. 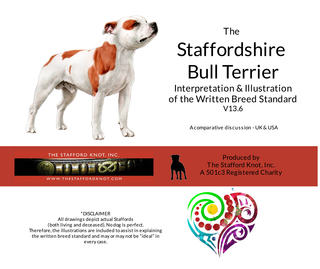 TSK is a collaborative effort from like minded Stafford enthusiasts whose common goal is to support the health testing of purebred Staffords. We reserve the right to approve or disapprove any material submitted. All material on this site is copyright protected & cannot be used unless indicated without the written consent of The Stafford Knot, Inc. Thank you.